At Three Rivers Auto Glass, your safety is our top priority. When you call us for windshield repair, windshield replacement, or other auto glass services, you can trust that we’ll perform high-quality work that not only meets, but exceeds, industry standards for safety, as discussed below. Oh no! One of your vehicle’s side windows shattered! What are you supposed to do now?!? If you’re like most people these days, you probably don’t have a lot of time and money to spare. So, you may be tempted to put off getting your window replaced until you do—and you may decide to employ some type of “quick fix,” such as covering it with plastic, in the meantime. Can I Recycle My Windshield? When your windshield glass is damaged or cracked a common question you may have is “Can I recycle my windshield?” Yes, you can! Windshield glass is highly durable and able to be transformed into a variety of objects once it is recycled and cleaned. In recent years, over 4 million windshields have neem recycled and repurposed instead of being placed in landfills. After your Pittsburgh windshield replacement, you may want to recycle your windshield too! What’s the Difference Between Front and Rear Windshield Replacement? Every part of your vehicle was specifically designed to perform a certain way and serve a certain function. Generally speaking, your automobile glass is meant to provide visibility. 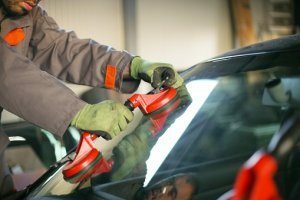 But, depending on where the glass is located, it is also meant to serve other, more specific functions—and if you want your automobile glass to perform as intended, you’ve got to make sure it’s repaired properly after incurring damage. Can Windshield Wipers Damage Your Windshield? Believe it or not, under certain circumstances, the very windshield wipers that are in place to protect you by ensuring your visibility can actually hurt you by impairing it. Worn-out, damaged, or improperly installed/maintained windshield wipers can scratch your windshield, which will affect your ability to see out of it properly and, depending on how long it takes you to notice the scratches, will require anything from a small windshield repair to a total windshield replacement. Did you ever notice how, when certain unfortunate things happen, everyone around you suddenly becomes an “expert” on the matter? Take your recent windshield damage for example: When your family, friends, co-workers, and other associates heard about it, a few of them probably gave you unsolicited advice or shared some type of story about someone else’s windshield repair experiences. Maybe your uncle told you not to report it to your insurance company because your rates would go up. Maybe your coworker praised some do-it-yourself product that her boyfriend’s brother used, or perhaps the gas station attendant said that he’s seen plenty of people driving cars with worse windshields. What do a deer, a group of unruly teenagers, and a fallen tree branch have in common?This isn’t a joke or riddle, but, rather, a serious question—and, unfortunately, many vehicle owners know the answer. These things, along with a few others, can cause damage to your vehicle’s windshield, which may not be covered under your insurance or, if covered, may not be worth filing a claim for. That’s a lot of “mays” and a lot of guesswork for you. But don’t fret. At Three Rivers Auto Glass, we pride ourselves on being the go-to place for windshield repair and windshield replacement in Pittsburgh, and we’re here to help you make sense of everything and guide you through the process of filing your claim. Why Should I Hire a Mobile Windshield Repair Service? “Great, my windshield’s damaged… Now, I have to take my car somewhere to get it repaired.” Chances are, if you’ve recently incurred windshield damage, you’re probably thinking something similar to the above statement. But the above statement isn’t entirely accurate. You don’t have to take your car anywhere! If you’ve recently purchased a new vehicle, or are in the market for one, you’ve probably heard talk of “paint protection.” Perhaps the dealership suggested it as one of many optional add-ons, or maybe a friend, relative, or coworker recommended (or criticized) it. Whatever the case, you’re probably wondering what paint protection is, how it works, and if it’s worth the cost—and if that’s the case, rest assured, Three Rivers Auto Glass is here to answer your questions and help you make an informed decision about whether paint protection is right for you.